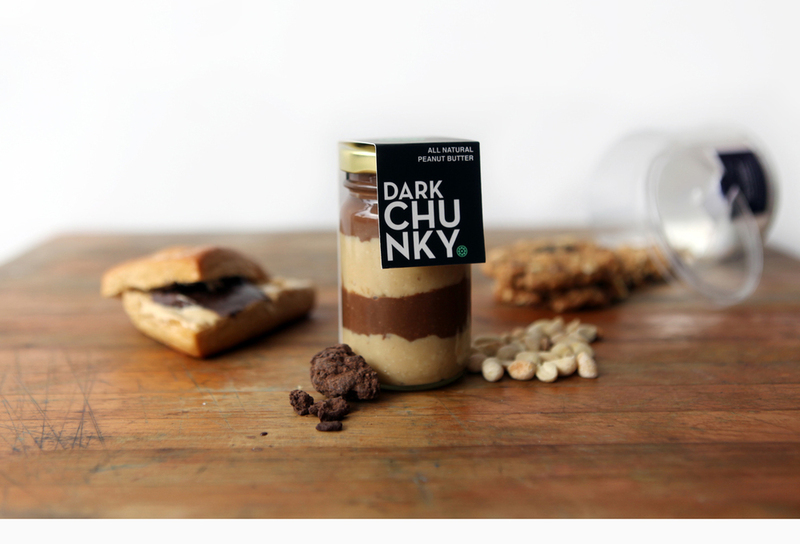 In case you haven’t noticed – artisan, flavored peanut butters are ON trend. When I was a kid our choices were crunchy or smooth – we couldn’t have dreamed of options like french vanilla latte or oreo cookie! 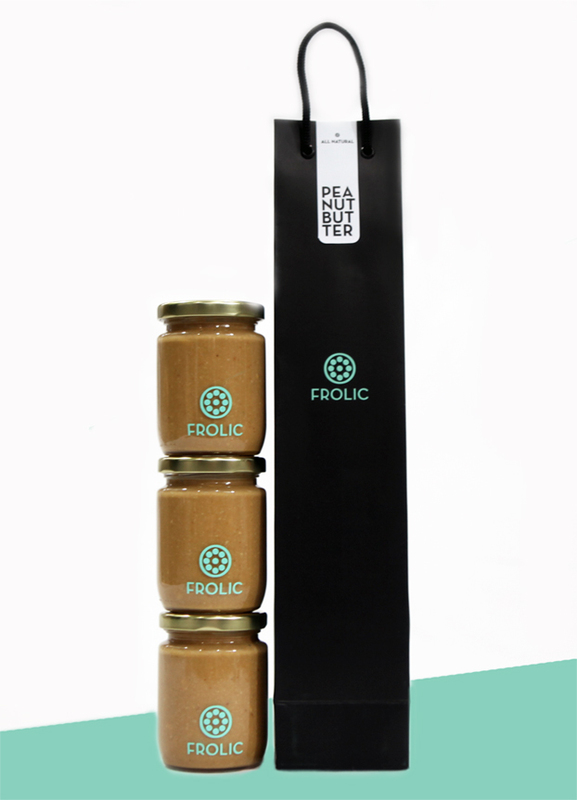 So I’m sure it will come as no surprise that the packaging of my childhood peanut butters looks pretty dull next to the packaging design for FROLIC, a home-based peanut butter company in Indonesia. The brand and design work was created by the designer Grace Florencia Candra, who also happens to be the half owner of the company, with her sister Fransisca Augustine Candra. The design is simple, based on a high contrast color pairing of black, white & bright turquoise blue combined with bold, oversized typography. The flavor names are easy to pronounce by locals’ tongue, each being either one or two syllables, and then printed in bold, oversized Neutraface font onto the packages labels. Each jar has the FROLIC logo printed onto it for consistency, and then the flavor name is displayed on the heavy card stock label which sits on top of the jar lid and then folds over the front side. Another design detail Grace Florencia Candra thought out in her process was the shape and material (glass) the jars were made of – this reflecting the artisan, home-made story of the product itself. Such a lovely design, which truly reflects the demographic of the modern peanut butter – big steps up from the crunchy and smooth days of the past.